Make Jerusalem your living, breathing classroom for four days, and learn to speak Modern Hebrew like a native (including slang!). 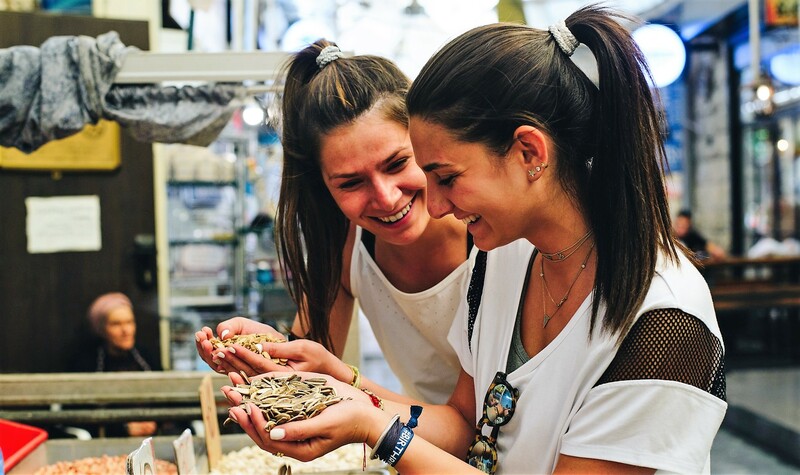 As part of Hebrew like a local, you’ll experience all facets of Israel’s vibrant society, lifestyle, and pop culture—hands on! You’ll learn Hebrew in fun, interactive sessions, and put it to work with native Israelis. Boker tov (Good morning)! An immersive 4-day Hebrew program open to all levels in Jerusalem. 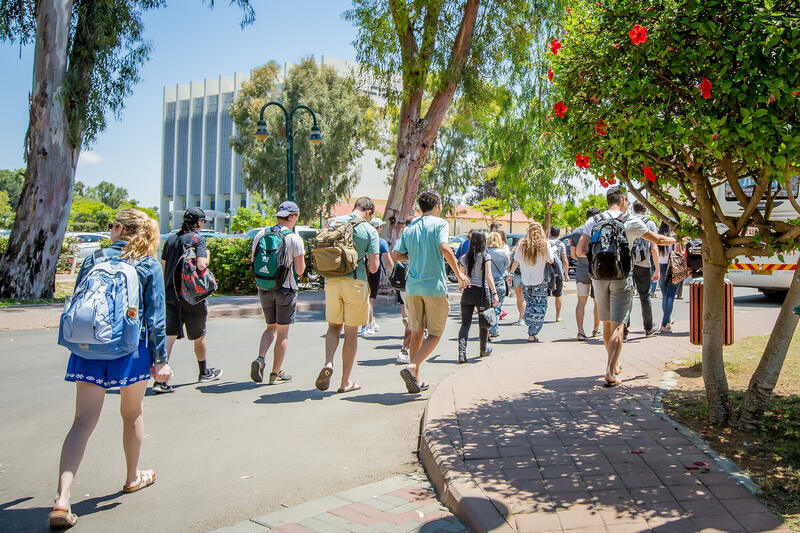 Transform from a tourist to a local while gaining Hebrew skills for everyday life. Each day starts with engaging sessions to build your spoken Hebrew skills with basic communication phrases like Modern Hebrew slang, asking for directions, and bargaining in the market. you’ll spend afternoons and evenings actively practicing your skills in real life situations. Suddenly you’ll feel confident ordering food in restaurants, chatting with the bartender at the bar, flirting, asking for directions, and getting the best price like a real Israeli! “Ulpan-Or has given me more confidence in my ability to speak and understand Hebrew. I only wish I had more time here.” Amanda M.
“Amazing way to study and prepare to learn in such a short amount of time. I feel lke I have learned a lot and will remember/speak as I experience life here in Israel and outside of Ulpan-Or." Blake K.
“For the first time of my life I was able to learn Hebrew in a smart and quick way. Our teacher was professional and helped me a lot to understand and appreciate Hebrew.” Naomi S.
This program is run in partnership with Israel Free Spirit and Ulpan-Or. Ulpan-Or is an innovative hub for Hebrew learning with campuses in Jerusalem and Tel Aviv and accessible from anywhere else in the world, thanks to uniquely designed online programs and self-study kits. We are proud to be the official provider of Hebrew programs to the American Embassy in Israel, various Masa programs, Onward Israel, Magen David Adom, and more than 80 schools and universities worldwide. Ulpan-Or employs a revolutionary methodology for learning Hebrew called Rapid Language Acquisition (RLA) developed by founders Orly and Yoel Ganor following 20 years of extensive research on language acquisition and pedagogy. RLA enables students to learn Hebrew quickly and effectively in an interactive way and a fun and dynamic environment, thus bringing the ancient-turned-modern Hebrew language to life. 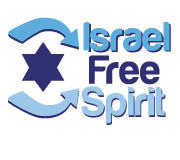 Israel Free Spirit offers different types of Birthright Israel trips to accommodate participants of varying interests. All of our trips are designed to experience Israel to its fullest. We offer a wide variety of niche trips catering to specific interests such as the arts, social justice, business entrepreneurship, and more. Some of our trips offer unique opportunities for individuals with special needs, and we also run a trip tailored for participants in recovery, based on our approach of equal opportunity for all. Our basic philosophy of providing a fun, active, spiritual, and meaningful encounter in Israel unifies all of these Israel Free Spirit programs. Indulge yourself—this is Israel Free Spirit, and your adventure starts here.